On 2-3 March 2017, 19 organisations from the UK, Malaysia and Indonesia, including representatives from the oil palm industry and non–profit organizations. 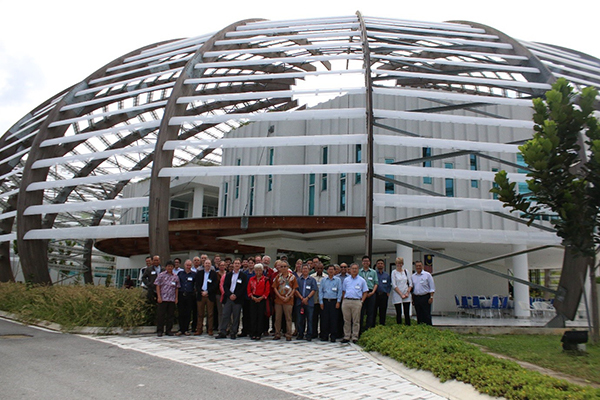 convened at Crops For The Future (CFF) in Semenyih, Malaysia to discuss the soil quality challenges in Malaysian and Indonesian oil palm plantations. This workshop was co-organized by CFF and the Centre for Ecology & Hydrology (CEH) and was funded through awards to CEH and the University of Warwick under the UK’s Official Development Assistance (ODA) programme. 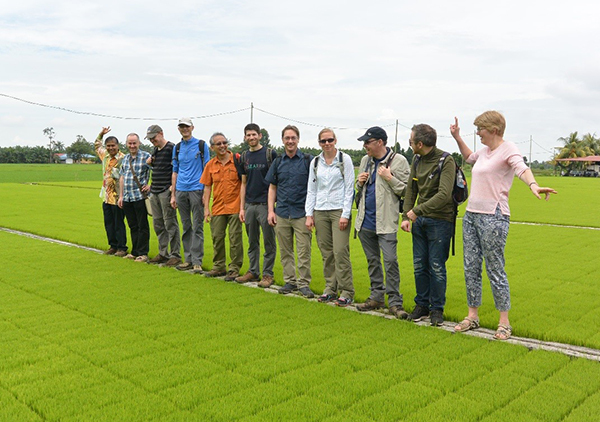 The aim of the workshop was to explore strategies to enhance the long-term sustainability and productivity of agricultural practices across South East Asia through improved understanding of soil quality and soil functioning. Oil palm is the primary source of vegetable oil in the world, and one of the world’s seven most important crops in terms of calorie supply. Oil palm is the primary source of vegetable oil in the world, and one of the world’s seven most important crops in terms of calorie supply. The vast majority of oil palm production (~80%) is sourced from SE Asia and ~40% of this derived from independent and co-operative associated smallholder plantations. Developing a deeper understanding of land management options is therefore crucial to deliver balanced socio-economic and environmental benefits. Optimising the application of fertilisers and potential for recycling of organic wastes, such as empty fruit bunches to improve nutrient management. Strategies for managing water availability and improving resilience to water stress. Improved understanding of the cause of disease and pathogens in oil palm, how these impact upon yields and options for mitigation such as microbiome management. Identification and communication of feasible options for smallholder diversification through intercropping, agroforestry or incorporation of livestock. Assessing the long-term viability of oil palm on organic soils, and the potential of alternative high water-table agriculture in these areas. Improved land-use planning and management through incorporation of socio-economic and environmental considerations at different spatial scales. From these six key themes, opportunities were identified where the UK, through collaboration with regional partners, could add value or capacity to complement on-going research. The use of new techniques to quantify nitrogen use efficiency was discussed as well as the expansion of existing intercropping experiments and high water table trials on organic soils. Discussions were also held regarding opportunities to provide a regional overview of ongoing experiments and field trials through a meta-analysis and developing or improving plant and soil process models to improve nutrient management. Overall this workshop was an excellent opportunity for UK researchers to gain understanding of the key issues and on-going, regional research activities in this area; and secondly to identify opportunities for collaborations between UK and SE Asian delegates. Attending the workshop from CEH were Niall McNamara, Jeanette Whitaker, Dafydd Elias, Julia Drewer, Ed Rowe and Chris Evans.